Since tonight is the new moon, or dark moon, I am listing two new pieces honoring Hekate, who traditionally receives offerings at this time and whose realm includes the darkest of dark nights. Each is made from 13mm moon-shaped deep purple Czech pressed glass beads with a silvery-gold aurora finish on one side, with silver-toned spacer beads to make them supple and easy to handle. Each is joined with a pendant appropriate to the goddess: a key. Hekate is often depicted holding a key, as is fitting for both her role as a psychopomp who travels to the underworld, and her role as guardian of the entryway to the home. 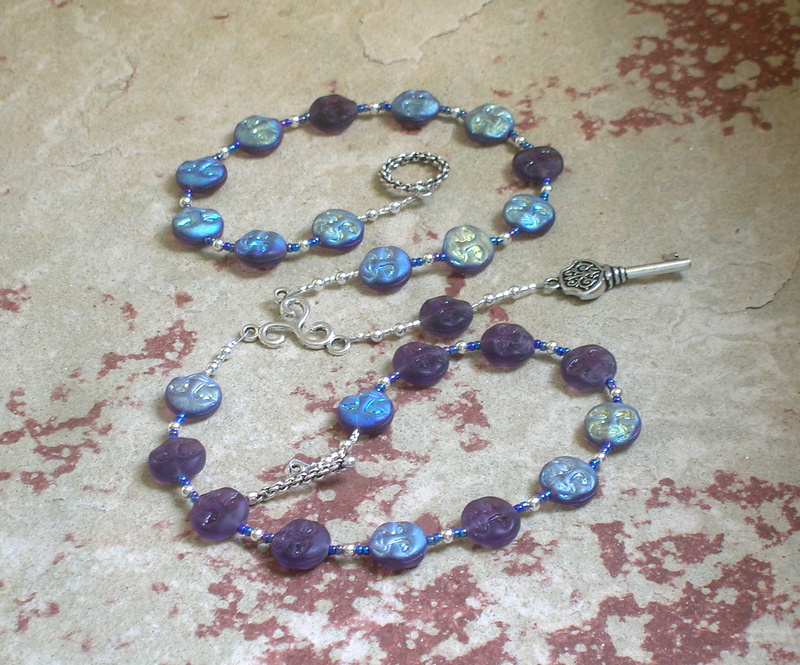 The Hekate pocket prayer beads are approximately 10.5″ (26.7cm). They come with a prayer to Hekate, written specifically to be used with this prayer bead design and with a cotton muslin bag for storage. You can, of course, use the beads with any prayers, or for any god or gods, that you choose or that resonate with you. They are available here at my Etsy shop. The Hekate prayer bead necklace is approximately 23″ (58.4cm) long and closes with a toggle clasp. It comes with a prayer to Hekate, written specifically to be used with this prayer bead design and with a cotton muslin bag for storage. 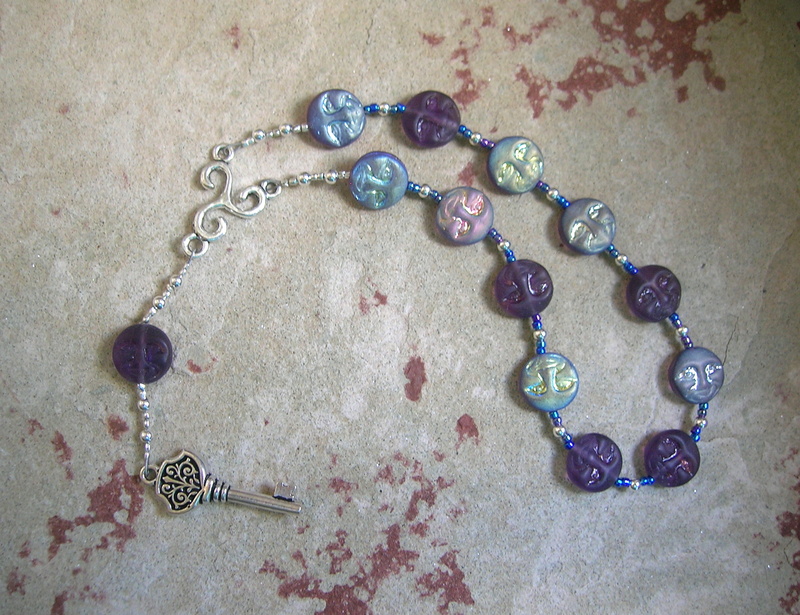 You can, of course, use the beads with any prayers, or for any god or gods, that you choose or that resonate with you.